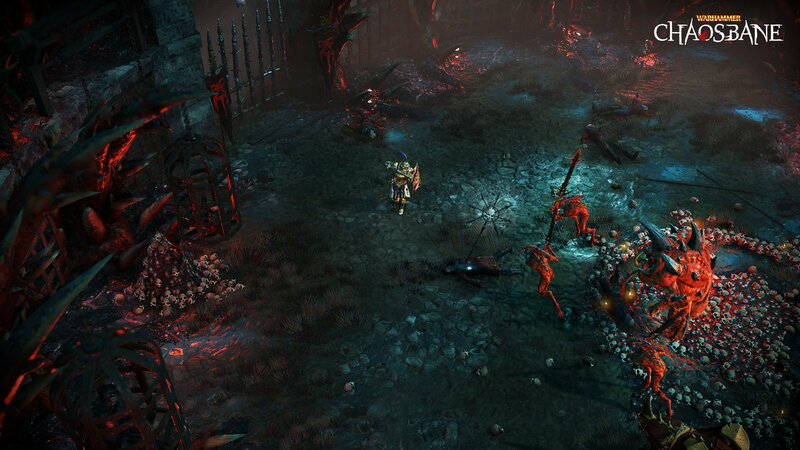 Warhammer Chaosbane is a new action rpg from Eko Software and BigBen Games. Take the fight against Chaos to the streets and catacombs and ruins of the World-That-Was. 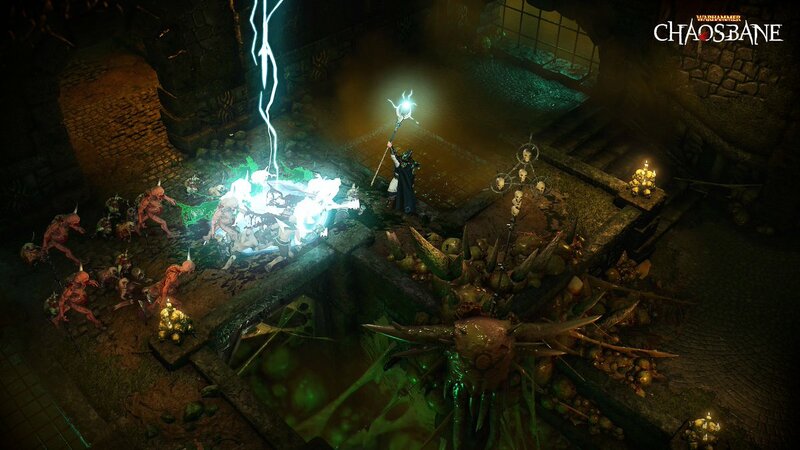 The various worlds of Warhammer are absolutely perfect for an action RPG. Warhammer Fantasy is rife with opportunities for heroes to fight against hordes of the soldiers of Chaos–in the video below you’ll find Nurglings, the Mutalith Vortex Beast, and a few undead beasts lumbering around in the crypts there. Right now information is pretty scarce. The game was announced a couple months back,and had a gameplay preview during Gamescom (which is where that video comes from). Aside from that, here are a few other details we know, gleaned from their Facebook Page. In this Action-RPG based in the Warhammer Fantasy world, the player will be plunged into the middle of Old World history as they embody a human, a high elf, a wood elf, or a dwarf and discover several iconic locations such as the cursed city of Praag, or Nuln, the old capital of the Empire. There are a variety of classes, each with their own unique playstyle, character customization and you can hop in/out co-op as you battle the hordes of Chaos across the Old World. 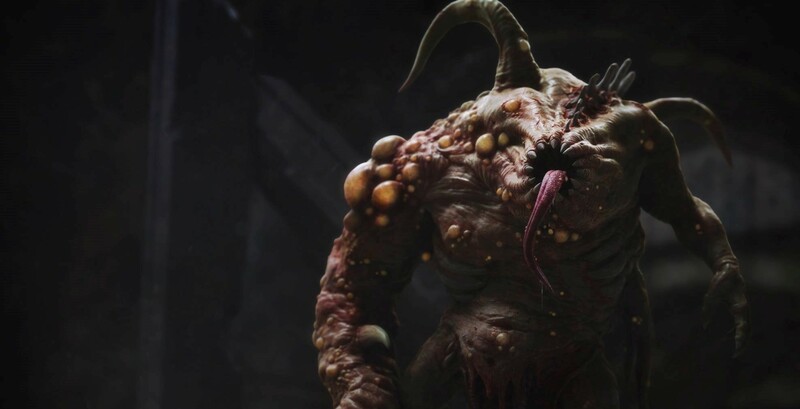 A few comparisons have been made to Diablo–and especially Diablo III, which seems like a great jumping off point. There aren’t quite as many enemies on the screen all at once, but the ones that are there seem a little tougher. From all accounts the game is difficult, but it’s the kind of difficulty you can sink your teeth into. With a bunch of different skills and trees to play with, as well as with a Rage Meter mechanic that encourages you to start fighting and then never stop, you’ll find a lot to grab hold of with this game. So get ready to return to the world-that-was for one. Last. Mission. Watch this space for more news as it develops. What do you think of the new game? Excited to return once more to the Old World to dispense some peasant-style justice?